Residents of Mission Viejo and Ladera Ranch use the word ‘cavity’ often when discussing oral health practices. 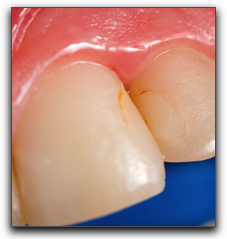 Along with teeth whitening and other cosmetic dentistry procedures, cavities are a hot topic. At Hales Parker Dentistry we think it’s great that people in the Rancho Santa Margarita area are so conscious of their teeth, and we feel that having a better understanding of exactly what a cavity is will help them take better care of their pearly whites. Cavities may get so bad that you will see pits or holes in your teeth, but symptoms may be more subtle, such as sensitivity, pain when biting, or a toothache. If you experience any of these symptoms, you should call your Mission Viejo, Las Sorres, or San Juan Capistrano dentist today for an appointment. If you are in the market for quality dental care in the Ladera Ranch area, give Hales Parker Dentistry a call. We treat dental patients in and around Rancho Santa Margarita with personalized and thorough care. We can also answer any questions you have about cosmetic dentistry procedures such as veneers and dental implants.